Automated systems have found their way into more and more of the world’s manufacturing facilities. Someone needs to maintain, update, and repair these machines. With a Robotics & Automation technology degree from UNOH – it could be you! With this degree you’ll be more than just an operator – you’ll learn to install, repair, upgrade, and troubleshoot electronic and computer controlled systems. You’ll build, maintain, and repair robots in automated manufacturing plants and other settings, using Program Logic Controllers and electromechanical skills and knowledge. Automated technology in today's workplace calls for these highly trained technicians, who have the technical knowledge and hands-on experience. Experience that can be obtained through a Robotics and Automation Associate's Degree at UNOH! 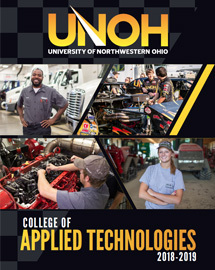 UNOH graduates will be ready to enter the workforce and apply their skills repairing, programming, and maintaining robotic systems, and quickly troubleshooting problems to maintain production flow. From Manufacturing, Automotive Production, and Building and Farming, to Product Processing and Packaging, Medical and even Homeland Security, Robotics and Automation Technicians can work in a variety of fields. At UNOH, you'll also have the opportunity to becme Rockwell PLC Certified! High Paying jobs are going unfilled each year, most of them requiring an associate’s degree. 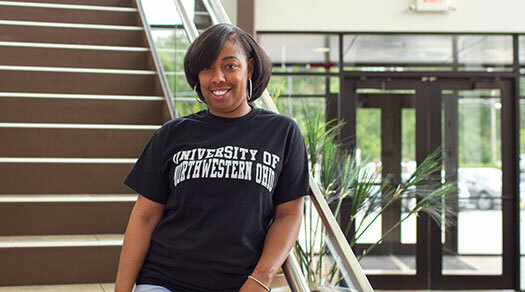 Get the degree that will get you the job at the University of Northwestern Ohio!